A lockout tagout program is an effective way to control hazardous energy in virtually every environment. In America, it is a requirement from OSHA to have this type of program in place, but more importantly, it is a proven way to minimize the risk of injuries and even fatalities for those who work with dangerous equipment. Unfortunately, lockout tagout violations are one of the top 10 most common violations reported by OSHA each year, which indicates many companies don't have an effective program in place. Learning about what lockout tagout is, and why it is important to have a comprehensive program in place, will help facilities improve safety and avoid potentially costly OSHA violations in the future. All facilities that have any type of dangerous machinery should have a lockout tagout program in place. This includes both large facilities with many types of machinery and smaller shops that use potentially dangerous equipment. The lockout tagout procedures are intended for virtually every type of company across every industry. If there is any risk of injury due to the unexpected energization of a piece of machinery, a lockout tagout program is needed prior to any maintenance occurring. Lockout tagout refers to a safety procedure that is used in a variety of industries including manufacturing, warehouses, and research. It ensures machines are properly shut off and cannot be turned back on until maintenance being done on them is completed. The main goal is to protect those who are physically working on the machines. Since there are many large and potentially dangerous machines in facilities throughout the country, this type of program is more important than ever. The lockout tagout program was developed in response to the numbers of people who were injured when a machine they were working on engaged. This can occur because someone unknowingly turns the machine on, because a power source is not properly removed, or any number of other reasons. The lockout tagout program allows the people who are actually performing the maintenance to take physical responsibility for their own safety, which can prevent an accident. This is done by physically removing the power source (often by tripping a circuit breaker) and putting a lock on it to prevent it from being re-energized. Along with the lock is a tag, which alerts people in the area that the power has been intentionally cut and that someone is working on the machine. The person who is performing the maintenance will have the key to the lock so nobody else can power up the machine until he or she is ready. This has proven to be an extremely effective way to limit the risks associated with people working on dangerous machines. The exact specifics of a given lockout tagout program will be tailored to the facility using it. All lockout tagout programs, however, should at least meet the OSHA requirements. OSHA states that employers must have a program in place that is followed when workers are performing any type of service or maintenance on machines that put them at risk of an unexpected startup or release of stored energy. Written Procedures - The lockout tagout program must include a written energy-control procedure that covers how and when a machine should be disconnected from each energy source, how lockout and/or tagout devices should be placed to prevent the possibility of re-energization, and information on how to prevent the risk from stored and/or re-accumulated energy. Training - Employees must be given training about the program. This should include how to use and remove energy control devices. Evaluation - The facility is required to perform an annual evaluation of the lockout tagout program to ensure it is effective. During this evaluation the facility must identify any changes to machines that would require an update to the program. This evaluation should also look at whether employees are properly following the program. If they are not, additional training or enforcement may be necessary. These are just the minimum requirements of an energy control program. OSHA fully expects each facility to properly evaluate its unique situation and create a program that addresses the specific hazards present. Employers are given a great amount of flexibility because OSHA understands there are too many variations throughout different industries, and requiring uniform programs would actually cause more harm than good. Despite the flexibility given, however, OSHA inspectors are still very detailed and work hard to identify any potential areas where a given program is not sufficient. When creating a lockout tagout program, employers need to make sure they cover all potential risks. This can be a tedious task, but it is worth the effort. Specifically, employers need to work with the maintenance team and any safety experts on staff to identify all potential power sources for a given machine. Electricity - This is the most common source of energy. It typically comes from a main electrical cable that goes into a machine. Other sources of traditional electricity could be a gas or diesel generator or battery backup systems. Hydraulic Pressure - Hydraulic pressure is commonly used in presses, lifts, and other similar machines. If there is hydraulic pressure in a line, it should be discharged prior to work beginning. Hydraulic Accumulation - Hydraulic accumulation is a similar type of energy, but is found in a pump rather than in the lines. Disconnecting a hydraulic pump and making sure any stored energy is discharged is essential. Pneumatic Energy - Using compressed air is common in certain types of machinery. Compressed air can be stored in lines, pipes, tanks, or other locations. Identify any potential areas where compressed air could be present and ensure the program accounts for it. Gas - Gas is a common source of energy. While not commonly used in modern machinery that requires a lockout tagout program, it does need to be considered. Steam - Steam is still a very effective source of energy and is used in a variety of industries. Identifying steam energy sources in a machine is critical for the success of any lockout tagout system. Thermal - Thermal energy comes from heat. Most machines create heat, and even if it is not intended to activate a machine, this should be considered. Looking at all the possibilities is essential for an effective program. Gravity - When power is removed from a system, it is often going to be more susceptible to gravitational energy. As electrical brakes release, this energy can make machines move, which is why it is so critical that it is a part of a lockout tagout program. Kinetic - Tension from springs or other sources needs to be accounted for to keep the maintenance teams safe. Identifying potential sources of energy in a machine is just one part of creating an effective lockout tagout program. 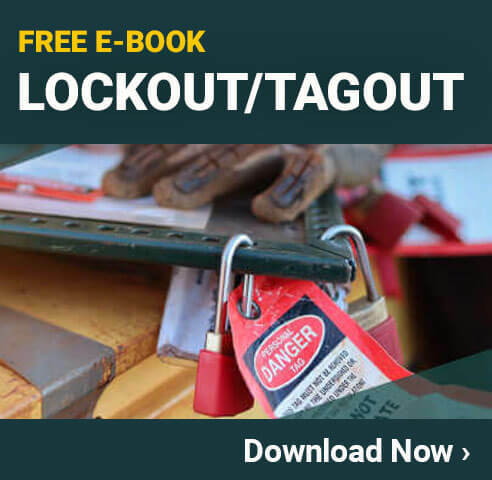 Two of the most important areas that should be included in any lockout tagout program are the requirements that must be met prior to any maintenance work starting and what must be done prior to re-energizing any machine. Creating a checklist of requirements that must be completed before anyone begins maintenance work is an essential component of a lockout tagout program. While many of the steps required may seem routine, it is important to ensure they are done each time work needs to be conducted, and a checklist is an ideal way to accomplish that goal. Preparing for Shutdown - Machine operators should prepare the machine for proper shutdown. Many machines have shutdown sequences that need to be followed to ensure all the energy is dissipated. Actual Shutdown - Complete the actual shutdown of the machine. Disconnecting Power - Disconnect a machine from its main power source and all other energy sources. Locking Out the Power - Apply a lockout or tagout device to the energy sources of the machine. Secure Machine - Take steps to release any stored energy or residual energy, and then secure any parts that need to be secured. Verification - Take whatever steps are necessary to verify that the machine has been completely de-energized. As part of the locking out of the power, the employees doing the work should apply their tags to inform people of who applied the locks. Good lockout tagout tags will have a place for employees to provide information such as their name, department, and the reason for applying the lock. After any maintenance has been completed, the machine will need to be powered back up. A good lockout tagout program will have established procedures for ensuring this is done safely. This includes making sure all of the maintenance team has completed their tasks and that normal machine operators are ready to begin production and assume responsibility for the machine once again. Inspect the Machine - Inspect the machine to ensure no tools, parts, or other items have been left by the maintenance team. Maintenance Checklist - Make sure each item on the checklist created for the maintenance performed has been done. Missing a task will require the lockout tagout procedure to be implemented again, which introduces additional risk. Check All Tags - Make sure all tagout tags have been properly removed by the individuals who applied them. Confirm Employees Are Clear - Take one last walk around the machine (but not into dangerous areas since the tags have been removed) to ensure everyone is positioned where they are supposed to be. Initiate Power Up Procedures - TGoing through the standard power-up procedures for a given machine is important. Most machines have specific tasks that need to be done in a specific order. Having experienced machine operators perform the power-up process can help improve the safety of the machine. The most important part of a lockout tagout program is the training given to employees. Training employees on the proper use of the lockout tagout program ensures it is executed properly. In addition to teaching employees what lockout tagout is, they should also be given specific training on any machines they work with. Maintenance personnel should be trained on how to go through the program for every machine in the facility. Other employees should be trained on this process for any machines they directly work with. Every lockout tagout program is unique. Reviewing guidelines from OSHA is a great way to learn about what is required for a program. 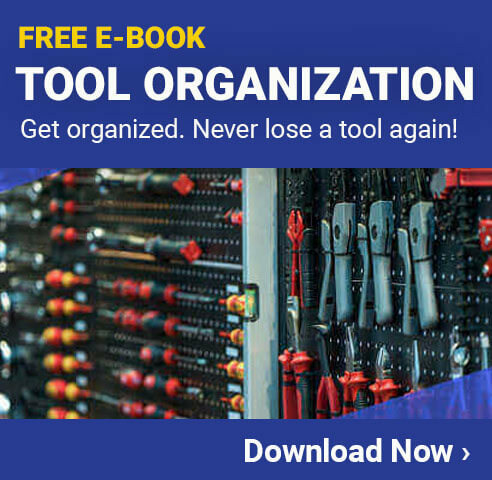 Looking at the lockout tagout procedures from other companies, universities, or other locations is another great way to learn how these programs should work. OSHA estimates that lockout tagout programs save 120 lives per year and prevent about 50,000 injuries per year. These are impressive numbers, especially given the fact that many facilities still do not have an effective program in place.